Please look at the picture above. It was taken in October 2011, at Ayutthaya, Thailand. 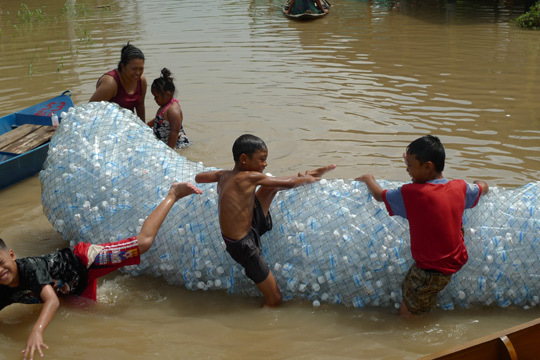 You may think kids are playing with plastic bottles, as look at the picture above. But, that’s not true. They’re trying a life preserver made from plastic bottles and fishing nets! “Design for Disasters (D4D)” is a team consists of young designers, artists, and academics. They share ideas and solutions to make life-saving devices. Every instruction is easy to understand, and all you have to prepare is everyday objects, such as plastic bottles, ﬁshing nets, ropes, plastic bags, and rubber bands. To raise awareness about disasters, D4D shares their ideas by distributing a cartoon booklet. Furthermore, they hold exhibitions and concerts too. As a result, Royal Thai government and WHO approached D4D for collaboration. Plastic bags transform into a life jacket, so easily! Organized by Thailand Creative & Design Center (TCDC), this creative collaboration contest was designed to pick the ten best sketch designs and prototype products for national disaster. All designs demonstrate how ‘design thinking process’ may help flood victims. What makes this contest unique is all designs are not fighting against natural disasters, but to live with. TCDC shares detailed prototype informations on “Design for Flood” contest page. Furthermore, you can read some creative suggestions from TCDC to designers. Why don’t you contribute your ideas to improve? Japan experienced a huge earthquake and tsunami 3 years ago. Since then, government has argued about countermeasures against disaster, but personally I think more citizen should be involved. 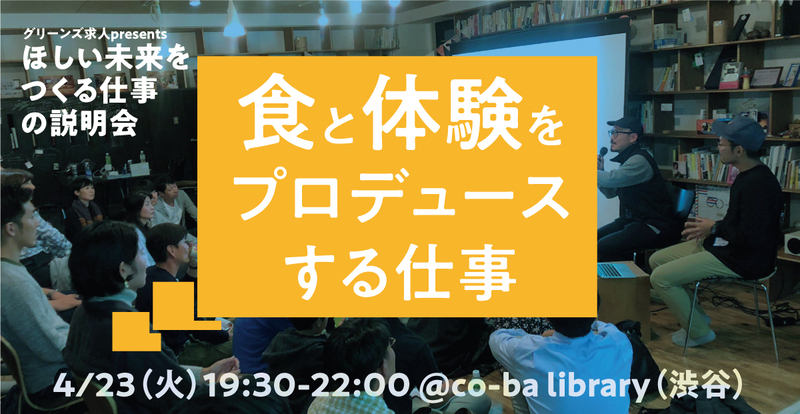 If ‘design thinking process’ combines with civic actions, people would be more conscious and creative toward unavoidable accident. 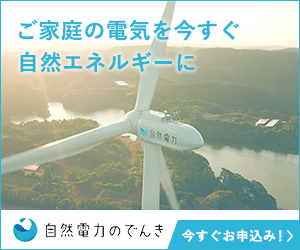 We, greenz global are not only focused on Japanese social projects, because creating entrepreneur community in East Asia is also our important mission. Wouldn’t it be nice if we get together to create the future? We are always welcome to talk to you! Feel like exploring some more designs from the TCDC contest?